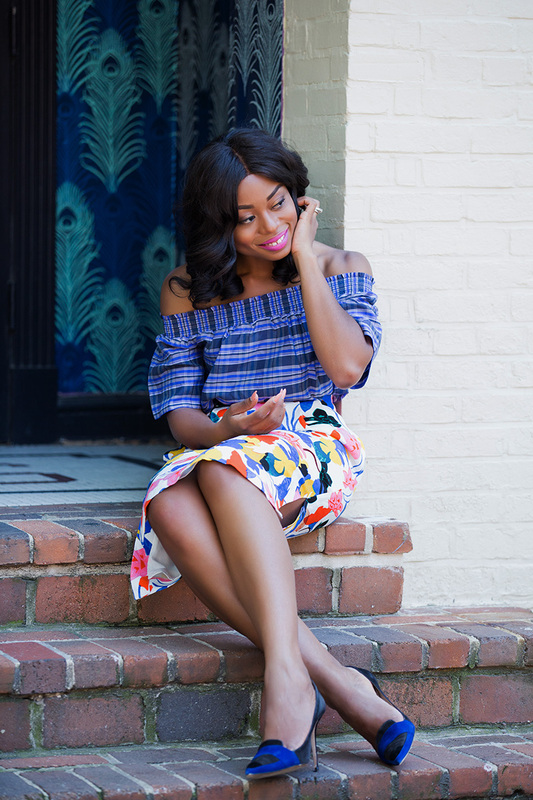 I really love mixing prints and a mix of floral and stripe add a fun and unique look to an outfit. 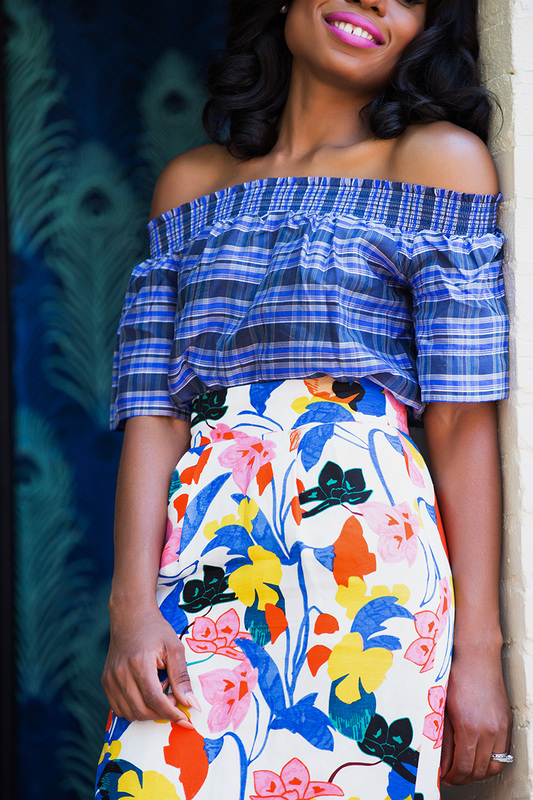 The floral print on the skirt makes it easy to be styled with a plain colored top or print top. 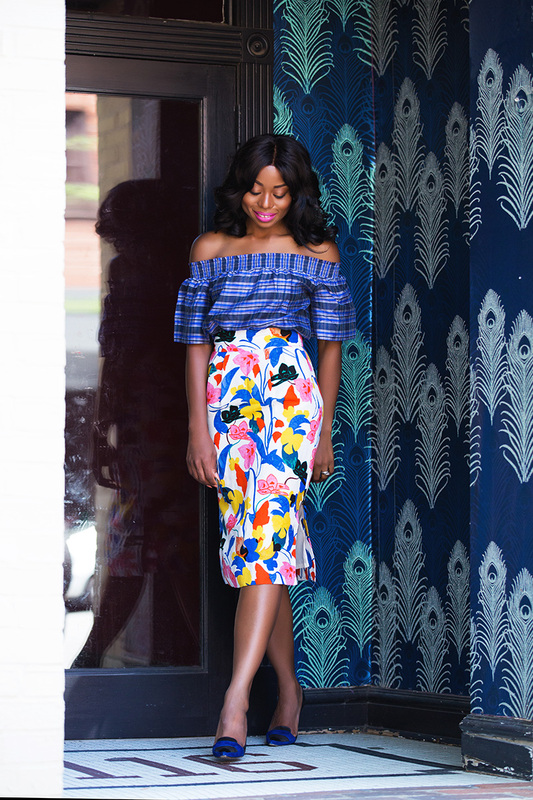 For this post, I styled with a print off shoulder top and I completed the look with pumps that have a hint of blue to complement. Shopbop is having a 'surprise sale' - 25% off all designer sale merchandise using the code DESIGNER25 at checkout. Amazon Prime deals includes 30% off clothing, shoes and accessories, and 35% off luxury beauty. Such a beautiful look. 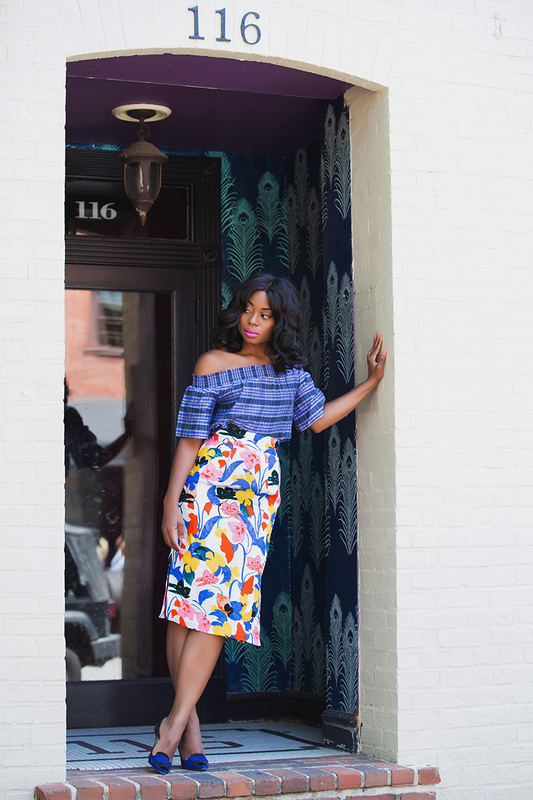 I just love the way you mix prints! Love the way you mixed the prints. And the fit is amazing! Choi! See me saying if only Stella were my sister...! You dunno what my head is thinking. I gbadun the skirt abeg!